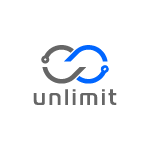 Join a partnership that takes your business to the next level of performance. Diﬀerentiate your business model and obtain subscription-based business. INTEGRITY Partners are an exclusive group that have passed the INTEGRITY standards of self-reliance, high quality and willpower. Find answers and general information quickly about Partner program. In the present time information security is exponentially gaining importance. Security has definitively crossed the frontiers of technological silos and is increasingly a subject found on management agendas, focusing on processes and people. There is urgent need to support these practices by using eﬀective tools that help organisations manage their Information security practices sustainably by eﬀectively reducing risk. There is concern that if organisations are not armed with agile, versatile tools that optimise the management of information security, they will only work for compliance rather than security itself. To answer this, and based on their extensive experience, INTEGRITY has developed crucial modules for eﬀective Information security management. Why become an INTEGRITY Partner? Our partners specialize in oﬀering Information security consulting and auditing services, and they value the diﬀerentiation, quality, and eﬀectiveness resulting from the services they provide their clients. The use of our embedded tools in their consulting and auditing services allows them to eﬀectively diﬀerentiate themselves and deliver services in a more sustained and robust manner. This brings advantages to clients while ensuring a continued relationship in the post-project phase, resulting in continued revenue for organisations. INTEGRITY is an ISO 27001 certified company specialized in information security and innovation. Due to the experience gained over a range of projects, it has developed security management support tools that make company projects more effective and more efficient. Why is INTEGRITY partnering some of his operations? The products developed by INTEGRITY were designed to support accompanying services (consulting and auditing). These services require client proximity and market knowledge. 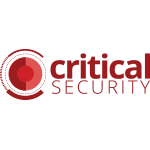 Our partners specialize in offering information security consulting services, and they value the differentiation, quality and effectiveness resulting from the services they provide their clients. The use of our embedded tools in their consulting and auditing services allow them to effectively differentiate themselves and deliver services in a more sustained and robust manner. What products are eligible for a partnership agreement? The rapid paradigm shift in Information Security has forced organisations to adopt processes to safeguard their information security and risk management. Due to the short time available to implement these processes, many organisations have adopted rudimentary tools, not suitable for purpose, and which do not effectively obtain appropriate results without considerable additional effort. Our exclusively developed security management support tools aim to respond to present challenges by providing an appropriate basis for the clear management of information security in organisations, rather than the inefficient use of rudimentary tools. – ACM – Assessment Compliance Manager allows organisations to easily gather information from multiple peers and to keep a close eye on the maturity and risk levels of your organisation. – IMS – The typical operation and management of an IMS - Information Management System - can be very challenging attending to the different natures of activities that need to be carried out. Our IMS Module was specifically designed to support your information security management strategy, compliance and operations. Why should I partner with INTEGRITY? INTEGRITY offers unique and distinct tools to selected partners looking to transform their business model. All projects confer differentiation, assure customer satisfaction and continued relations, while guaranteeing continued revenue, reducing risk and sustaining growth. What support does INTEGRITY provide to its Partners? What training is required to become an effective partner? INTEGRITY understands that a full knowledge of his platforms is a basic requirement to be able to successfully implement them. So, we provide online “hands-on” courses covering the platforms and, on request, we can also provide more in-depth courses. To begin the partner application process, please fill out this form. INTEGRITY will analyse your application and contact you shortly with additional details. Our partners deliver solutions powered by INTEGRITY. Together we bring cybersecurity to new and different markets. 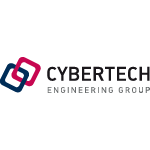 Highly competent technical organisation with a considerable IT Security experience delivering secure business services in the new digital application economy. Better Consultants provides consulting and information systems management services for organisations who strive for success, efficiency and high-performance. Chacon stands out for its ability to pragmatically offer services geared towards achieving efficiency and effectiveness gains in Governance and IT Management. 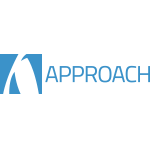 APPROACH is active in Belgium and Luxemburg, providing the full range of cyber security consultancy and secure-development services. Building trust relations between organisations by delivering specialized Cyber and Information Security services and solutions with professional excellence. 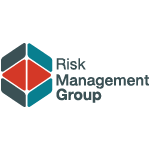 RiskMG is specialized in Information Security Consulting. Its purpose is to ensure that the data are based on Confidentiality, Integrity, Availability principles and are in compliance with Data Protection Regulations and Laws. 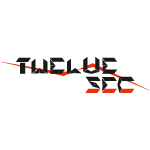 TwelveSec provides quality information security services worldwide, specialising in information security assurance, security management, and InfoSec training services. 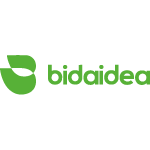 Bidaidea is a global, independent and multinational firm created to offer the best end-to-end integral security to public and private organisations, gathering the best experts to reach client’s trust. We have a dedicated team to help you.